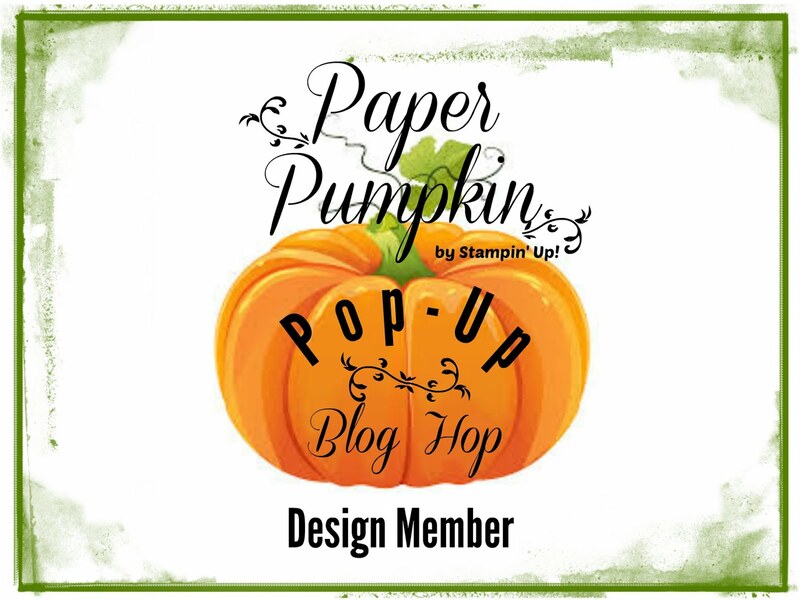 Welcome to another Global Stamping Friends Blog Hop. This month we were issued a color challenge; Lemon Lime Twist, Island Indigo, and Early Espresso, you can see the colors above. 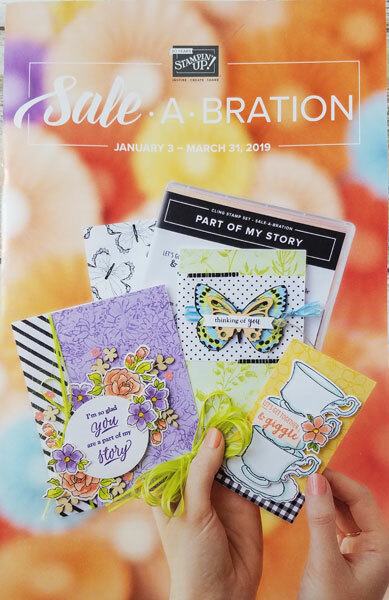 As I mentioned in the video, an overlooked Sale-a-bration product might just be the Tutti-Frutti Cards & Envelopes pack (4 each of 4 designs with matching envelopes). 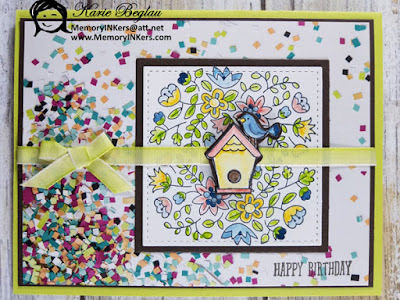 I love the ease of using this type of kit to created beautiful professional looking cards. On this card I used the striped Lemon Lime Twist card base, however, I wanted to have a border for the below design. I simply trimmed the base so I had 4” x 5.25” piece to place over the Thick Whisper White cs base. The long tag is a 2” x 5.25” piece of Island Indigo cs with the tail points cut using the Banner Triple punch. I then ran it through the Big Shot using the Hexagons 3D Dynamic Textured Impressions Embossing Folder (D-TIEF). Afterwards I rubbed the Whisper White Craft Ink Pad directly onto the cs and used a paper towel to wipe off any excess ink until I got the desired color. 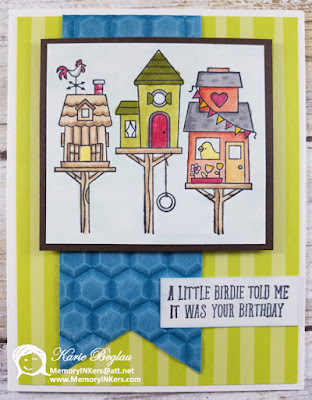 I stamped the bird houses image with Memento Tuxedo Black ink and colored using Stampin’ Blends Markers. Note: This is on Whisper White cs (2.75” x 3”), I used the Pool Party Light and also a bit of touches here and there with the Color Lifter Marker to give the ‘sky’ some dimensions. This is matted with Early Espresso cs (3” x 3.25”) and adhered with Stampin’ Dimensionals. The sentiment is also on Whisper White cs (.75” x 2”) that was colored a bit lighter than the sky piece. 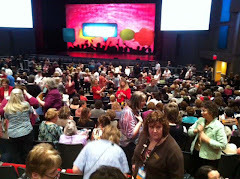 To see what Libby is up to, click the arrow below. 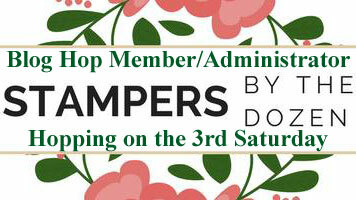 Last month’s Hostess Code Winner was – Lynne Drusentka!